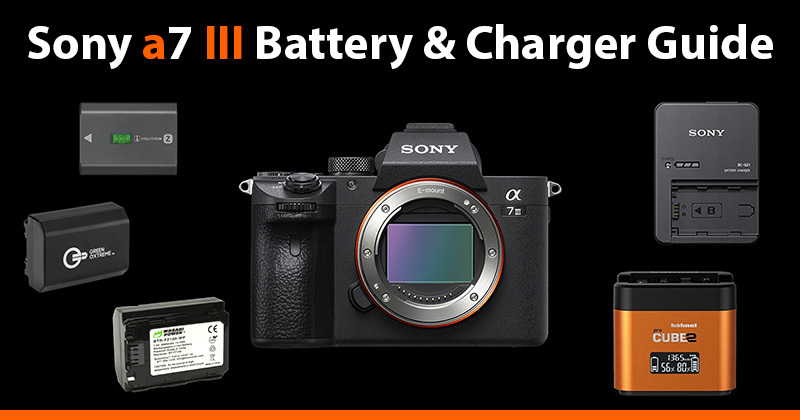 Hello and welcome to my Sony a7III battery and charger guide which aims to cover all you need to know about which batteries and chargers can be used with the Sony a7III, including both original Sony and third-party options. For those of you that own the Sony a7III you most likely already know that it doesn’t come with a dedicated charger like its more expensive siblings the a7R III and a9. But don’t threat, because as well as Sony’s official charger there are also a number of third-party chargers that you can use to charge the Sony NP-FZ100 battery that the a7 III supports. If you want the best possible battery life from your a7III and guaranteed compatibility then I would highly recommend sticking with the official Sony NP-FZ100 battery. However, please be aware that Sony has issued a warning regarding counterfeit NP-FZ100 batteries which bear the Sony logo and look very similar to the genuine Sony battery pack. To avoid purchasing counterfeit NP-FZ100 batteries, I’d recommend only purchasing from official Sony approved dealers. Also, if buying from Amazon make sure they are coming from Amazon directly and not a third-party seller. The Sony a7III uses the new NP-FZ100 which doubles the battery life compared with the smaller NP-FW50 battery found in the a7 II. Still, if you are shooting all day then you will probably go through at least one battery. Personally I’ve never gone through more than two NP-FZ100 batteries in one day whilst shooting wildlife and motorsport (stills) with my a7III. If you are shooting a lot of video then you may well go through more than two batteries. Battery life stills: 2000 shots (best I’ve got when shooting sports/wildlife). Very Important Note: Since a7III firmware version (v2.00) Sony has really gone to war with third-party batteries. Many a7III owners who have updated to the latest v2.00 firmware have reported that they now receive a warning message stating that the operation and safety of this battery cannot be guaranteed. You can ignore the warning by pressing OK and the batteries will still work, however the percentage indicator next to the battery icon also disappears so you will not know how much battery you have left (very annoying). This appears to be the case for all popular NP-FZ100 third-party batteries including Wasabi, Patona, Newell, and Baxxtar. Even before the latest firmware update my advice has always been to stick with the original Sony NP-FZ100 batteries for such an expensive camera. I have plenty of third-party NP-FW50 batteries for my a6000/a6300/a6500 and a7R II, but I decided early on to stick with the original Sony NP-FZ100 batteries for my a7III, a7R III and a9, at least until the third party options have been tried and tested for a little longer. As if my a7III goes up in smoke due to a dodgy third-party battery, it’s unlikely that Sony will be replacing if for me. If you have taken the plunge with a third party battery for your a7 III, then it would be great to hear how you are getting on in the comments below. After reading the above, if you still insist on purchasing a third-party battery for your $2000 Sony a7III, then here are your best options. There are many more batteries out there, but unless I can find genuine reviews or have tested them myself then they won’t be included here. Wasabi batteries are affected by the latest a7III firmware update, so if you do purchase these batteries you will have to OK the warning message each time you turn on the camera, and also make do without the percentage indicator. Some earlier versions of this battery also gave an an error message saying that the battery was not the right type and to use a different battery, this was fixed in later versions. 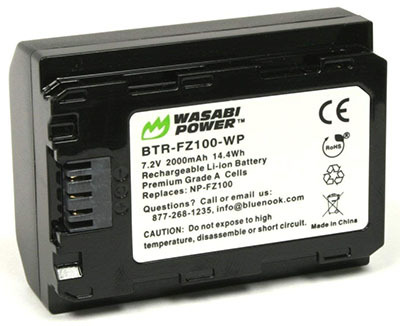 The Wasabi NP-FZ100 has a capacity of 2000mAh, which is 280mAh less than the official Sony NP-FZ100 battery. Newmowa are also selling their version of the NP-FZ100 but only as a bundle right now. 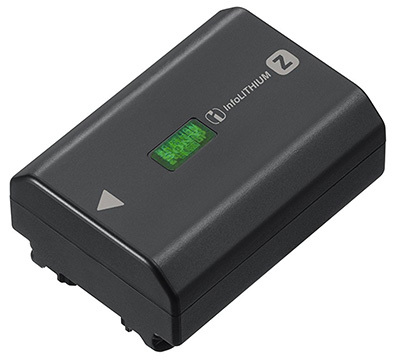 You get two NP-FZ100 batteries and a dual charger for more or less the same price as an original Sony NP-FZ100 battery. Reviews indicate that they appear to work, but charging time is very slow compared to the official Sony batteries and charger. However, just like the Wasabi batteries, these Newmowa batteries are also impacted by the latest a7III firmware update meaning you’ll have to OK the warning message and lose the percentage indicator. 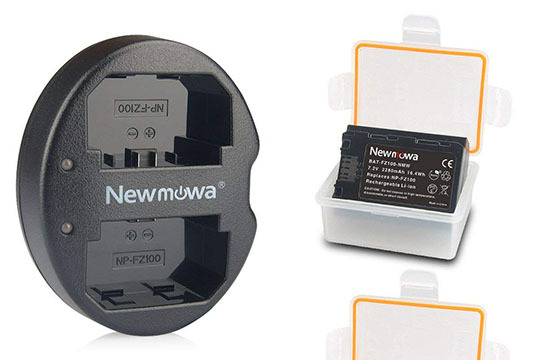 The Newmowa NP-FZ100 has a capacity of 2280mAh, which is the same as the official Sony NP-FZ100 battery. 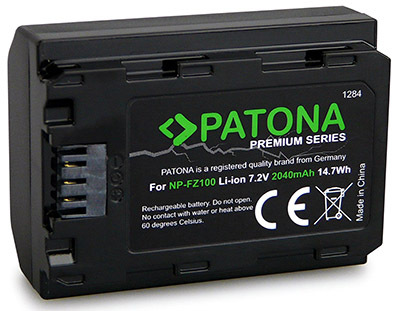 The Patona NP-FZ100 third party battery is only available in Europe. However, just like the other third party batteries, Patona are also impacted by the latest a7III firmware update. The Patona NP-FZ100 has a capacity of 2040mAh, which is 240mAh less than the official Sony NP-FZ100 battery. Unlike the Sony a7R III and a9, the a7 III does not include the Sony BC-QZ1 charger in the box. I can only guess Sony needed to save a little money somewhere with all the technology they packed into the a7 III, and so the charger was dropped. You can still charge in camera via USB-C, but this takes approximately 285 minutes to fully charge one official NP-FZ100 battery, compared with only 150 minutes when charged via the Sony BC-QZ1 charger. The Sony BC-QZ1 is Sony’s official battery charger for their NP-FZ100 battery, it will charge a single battery in approximately 150 minutes. The Sony NPA-MQZ1K multi battery kit might be a very useful addition to your a7 III if you shoot very long video sessions and need as much power as possible. This kit can charge four batteries (NP-FZ100) in approximately 480 minutes. It also allows you to power two USB devices as well as the camera at the same time. The NPA-MQZ1K also includes two NP-FZ100 batteries, a cable protector and a mounting plate. You can find full details on Sony’s website here. If you aren’t keen on paying for the official Sony charger or would like a dual charger, then there are a number of third party chargers on the market. My personal preference is again to stick with the official Sony chargers, especially when charging the official Sony NP-FZ100 battery. That said, I do have the Newmowa dual battery charger that at least in the short-term appears to be working just fine, however I only use it as a last resort. There are many more battery chargers on the market, but unless I can find genuine reviews or have tested them myself then they won’t be included here. 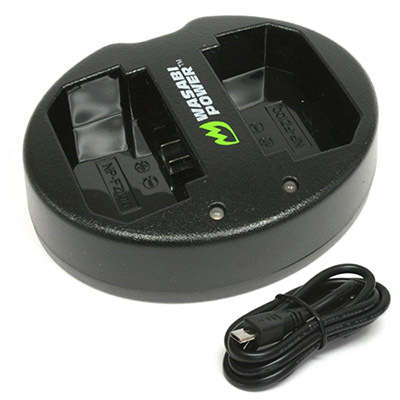 The Wasabi dual battery charger lets you charge two Sony NP-FZ100 batteries. It’s a USB charger so you can plug this into any USB device, but you will need a wall adapter for the fastest charge. There is an LED that indicates when charging is complete and prevents the battery from overcharging. Time to charge two Wasabi NP-FZ100 batteries if plugged into a wall USB adapter is approximately 4 hours. 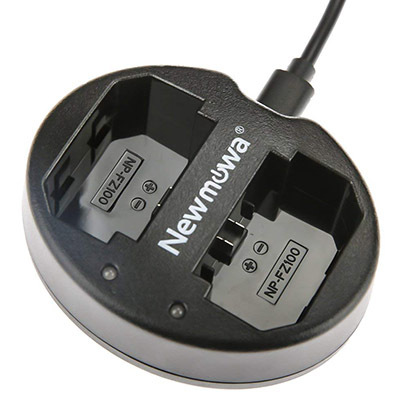 The Newmowa dual battery charger also lets you charge two Sony NP-FZ100 batteries. Like the Wasabi charger, it’s a USB charger so you can plug this into any USB device, but you will need a wall adapter for the fastest charge. There is an LED that indicates when charging is complete and prevents the battery from overcharging. Time to charge two Newmowa NP-FZ100 batteries if plugged into a wall USB adapter is approximately 4.5 hours. I own this charger myself and it works absolutely fine. 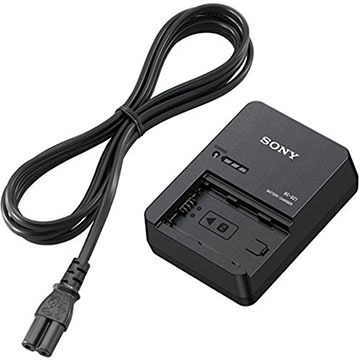 However, I do prefer to use the official Sony charger when charging my original Sony NP-FZ100 batteries. 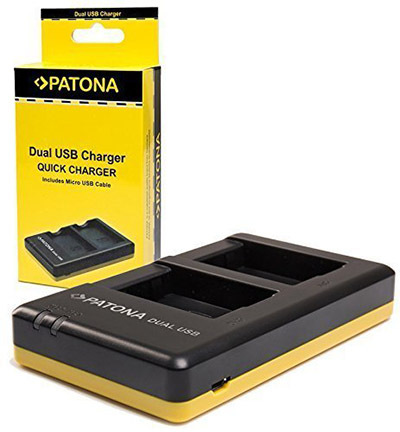 Just like the Wasabi and Newmowa dual chargers, the Patona also lets you charge two Sony NP-FZ100 batteries via USB, but again you will need a wall adapter for the fastest charge. There is an LED that indicates when charging is complete and prevents the battery from overcharging. Time to charge two Patona NP-FZ100 batteries if plugged into a wall USB adapter is approximately 4 hours. 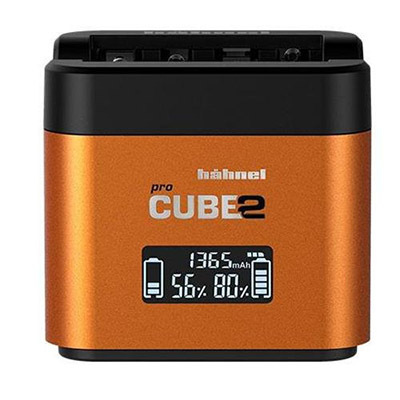 The Hahnel ProCube 2 is one of the nicer dual chargers on the market. It will charge two NP-FZ100 batteries at the same time in around three hours. It also includes charging plates for the NP-FW50 and NP-BX1 batteries. So if you own other A7 cameras, an a6000/6300/6500 or an RX100 then the Cube2 will charge them all. There is also a full size USB socket on the rear to charge a mobile device, but unfortunately this port is disabled when two batteries are charging. It does work when there is only one battery on the charger. If you have found this article helpful then you might also find my Sony a7III accessories guide and lens guide helpful too. Finally, if you are on Facebook then our friendly Facebook Groups are a great place to share your images or ask any questions you may have. We have niche focused groups for landscape, portrait, wildlife, sports, wedding, macro, street, and video shooters, as well as a generic group for everything else.